Mothers from all around the world differ in practices and beliefs, but one thing they all have in common is the unconditional love for their children. These supermoms do anything and everything to make their families feel happy and secure. Some moms choose the ‘housewife’ lifestyle, while others manage businesses or grind long hours in the office. For mothers who choose to juggle both of the above, here’s a high-five! Being an entrepreneur and a full-time mom is no easy feat. Below are two stories of supermoms who found their niche as entrepreneurs. 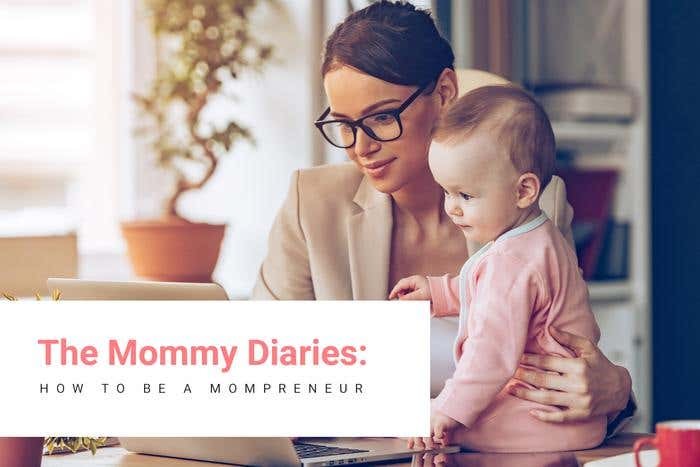 If you've been thinking about starting your own business, while performing mom duties, read on and get inspiration on how to be a mompreneur. Rynette Tan and her husband agreed to put her work life on hold while awaiting the birth of their second child. “When I got pregnant, I felt it wouldn’t be fair for employers if I start a new job and then be on maternity leave, so I decided to be a stay-at-home mum,” Rynette said. Spending several hours at home got the Singaporean mom thinking of ways on how to be productive. To help out with the household expenses, she sold maternity and nursing wear, baby wear, and carriers. Everything was perfect except her limited knowledge on e-commerce and design skills posed a challenge on setting up the business. Fortunately, her brother knew a little about website development so he helped out with the site's framework. Rynette wanted her business to be the best so she continued reading and studying about improving her website. All her hard work paid off when she built a functional website. But later on, she encountered problems on the site that she could no longer handle with her own skills. She turned to Freelancer.com for a website developer to solve the issues. Read about what happened next here. After taking on several managerial posts in the life insurance industry, Australian marketing expert Jessie Weatherley had a twist of fate. A year after giving birth to her first child, Jessie preferred working at home rather than returning to the office. Instead of sitting back and relaxing, she chose to do online freelance work through Freelancer.com. “Freelancer gave me a sense of purpose and helped me feel useful again. It provided me with work other than being a mom,” mentioned Jessie. Most of the work she bid on involved marketing plans, social media strategy and execution, copywriting, market research, PR and media relations. With Freelancer’s huge pool of projects, opportunities to work were endless. Three years later, Jessie now owns a local marketing consultancy firm. But, she still turns to Freelancer for clients, especially during months where there are not many local clients. Working on Freelancer has greatly boosted Jessie’s business in terms of revenue and growth. One of her recent projects involved writing a Social Media Recruitment Training Course for an Australian company where she earned AUD3,350 in less than a week’s time. From a mother who just wanted to work at home and spend time with her kid, to a business owner spearheading global projects, Jessie's time and effort spent working as a freelancer have paid off. Rynette and Jessie continue to strive for their families. They have proven that you can have the best of both worlds. They get to cherish important moments with their loved ones and at the same time make a change in other people’s lives. Life has never been so rewarding for these two mompreneurs. A Happy Mother’s Day to all Freelancer moms out there! May you continue to empower yourself and other women around you.